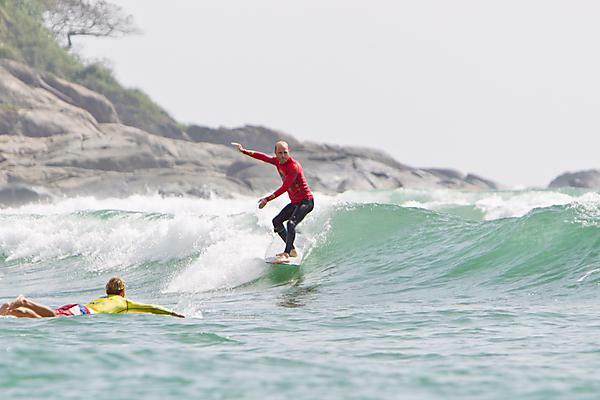 A top surfer and PhD candidate in the School of Engineering is celebrating finishing 5th in the ISA World Longboard Championships in Hainan, China. 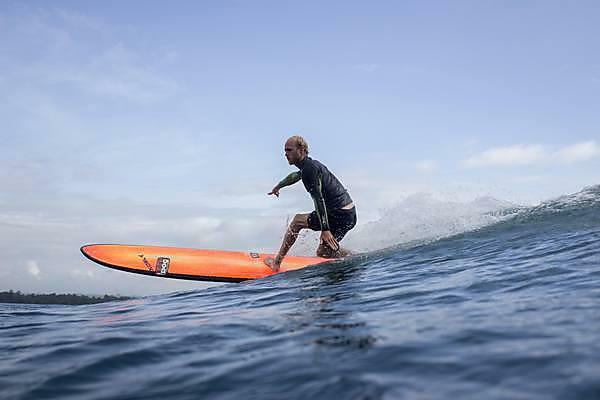 Ben Howey took time out from the third year of his doctorate to travel to the contest as part of the Surfing England team – which also came in 5th overall. As well as being one of the world’s best on his chosen craft at riding waves, Ben is an expert on what is happening beneath the surface and in particular, how to harness ocean swell as a source of renewable energy. His PhD focuses on the extent to which different parts of wave energy arrays can be connected together, and the impact on their performance and resilience. This involves physical and numerical modelling of oscillating water column arrays, and studying the effects of varying the level of inter-connectivity between the floating bodies. “I was very nervous before the event and flying out as I knew it was high profile, and I had to fight so hard to get my spot on the team so I had to do well! But after getting through the first few rounds the nerves began to ease as I had already surpassed my own expectation of how well I could do. “I am now in the third year of my PhD, so I have had quite a few years to master the art of work/training balance - although training does take over sometimes! Ben is a University of Plymouth Sporting Excellence scholar. He is sponsored by Xcel Wetsuits, Skindog Surfboards and Dryrobe.